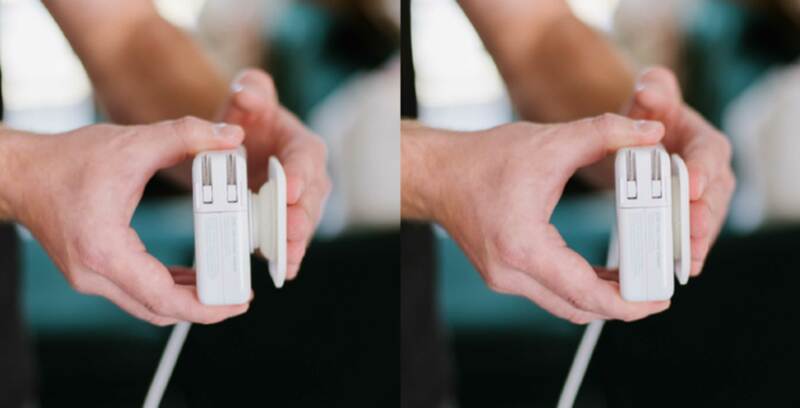 The Fuse Collapsible MacBook Charger Winder is a new product that can be attached to the side of a power adapter so users can wrap power cables up neatly. The device is pretty similar to a PopSocket, but instead of attaching it to the back of your phone, it is attached to your charger. When the Winder isn’t in use, you can compress it, so it sits almost flush with the charger. When you need to pack your charger, you can wind your cable around it. There’s even a small notch to weave your charging cable though so it doesn’t unravel in your bag. The project is currently around half-way to its Kickstarter goal of $5,241 CAD. You can get your hands on the accessory by pledging $16 CAD. There are more expensive options as well in Kickstarter fashion. The charger accessory works with most MacBook power adapters and some Windows laptop chargers, but it won’t fit on the smaller 30W MacBook brick.